Learning about Avaya IP Office? "Easy to configure and even easier to manage"
The feature I like the most is the layout within the software is very easy to navigate and the options seem very clear and concise. We have been using Avaya IP Office 8.1 & 9 now for about 3.5 years with no issues to report. I dislike that when I save a configuration sometimes the system says to do a merge and the changes will take place, but now I have learned that is not the case and I will want to reboot the system at least once a month to make sure all changes have taken effect. Outside of that we have not had any issues and work with a great partner to help with some of the really down and dirty configuration. Do your homework and make sure that the suite of software is the right fit. The business problems we are solving are that the system was very easy to setup, very easy to configure and now it gives me more time to deal with other problems in my role as a Systems Administrator. I like the the phones are sleek. I like that there are a lot of learning videos online so that when the installers dont teach that well you can teach yourself. I disliked that the gentleman that installed the devices for our entire office gave us very little training on how to use and set them up. Being that I am an administrator I needed to understand how to set people up and how to route everything and he asked me to provide him with what commands we needed and he messed our whole system up but never got back with us after installation. Have extremely better followup skills instilled in your employees so that they care about the end result for the company you are providing the service for and make sure the end users know fully how to use the devices that they have been sold. This service is not cheap and it shouldn't be a struggle to use after they leave. the only benefit I am seeing is that I am able to easily transfer calls to all my locations now 8 months later and having to be taught on our own. 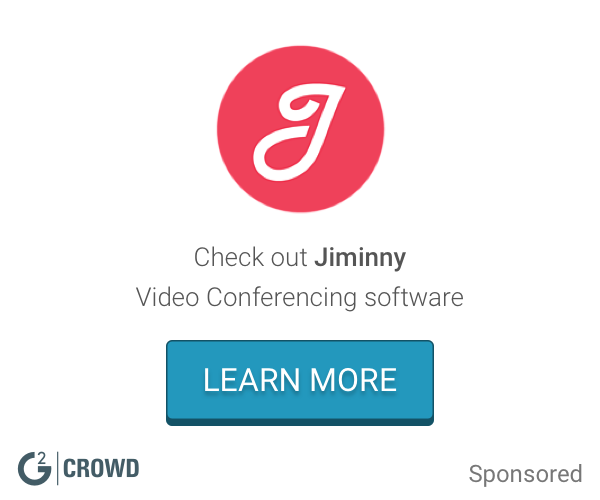 Easy to start a web conference. Easy to share my screen with others. The instructions for the employees who I try to connect with are not easy to understand. They have to install the Avaya client on their PC but it's not clearly stated. Easy to use from a user point of view. We have 4 campus geographically separated. Avaya is a lot better then visio conferences. And it saves us time and money! The size of the camera. Unfortunatly the camera is rather large, this is due to the technoligy it needs inside but a bit less bulky and this would be perfect. Our owner lives in a different country and we also have sales managers all around the country, This device saves time and money and also opens up much wider options for our customers to interact with us. "so easy to install, manage, and troubleshoot....."
I have been in the Telecom industry a long time, primarily Nortel, and if you know nortel, you know its hard to configure. After purchasing Avaya for my new company, never logged in to a system, I picked up a few books and within a week i had h323, 9611, phones up and working. was able to create a sip trunk via system manager and session manager to our existing PBX, and it all worked! not to mention the whole thing being virtualized, the documents are spot on if you just do some digging to find them. I needed 0 help from the vendor, saving us possibly thousands of dollars! licensing is a bit of a pain, and you must constantly look out for updates. make sure you register with PLDS and have access to get all the software, hold your vendor accountable for this access otherwise you will have a hard time getting everything you need. "Great system and easy to use software "
I like that this system has a lot of functionality that you don't always see with office systems. Good customization options and easy to learn and use. There are a lot of voice prompts to follow and walk through - necessary? Yes. But could they be improved upon? Absolutely. This is an easy to use system with a very intuitive user friendly setup. I would definitely choice to use Avaya again should I be in the market for a new system. I like a lot of the cool functions like voicemail to email and line naming that we have added to build out our phones and office. We needed a system that would cover a massive number of lines in a cohesive manner and this system fits the bill. As for my experience, I have worked with Avaya PBX for some configuration and tests of my prevoious company VoIP network. Its strong point is the stability, the high customization of the corporate VoIP net . Lag and Latency almost nonexistent as long as the network is of course performance. We started to use the Avaya PBX for maybe an year, the configuration is not easy and not always as affordable support. The costs of an Avaya PBX is very very expensive and in the end turned out to be the wrong choice for our business volumes. For what has been our need, (only managing a small Voip infrastructure), we moved to another PBX easier to use and much lower costs. Initially we were able to pull up our VoIP network mainly to learn to use in the best way the PBX and then we have installed VOIP in some of our customer's phones, unfortunately not without problems. To be fair, however, it was our first experience about VoIP environments. The product is definitely one of the market leader, so I 'm sure it 's the best solution for very important (and large) companies. "Avaya, the softphone for your business"
It works great, is very stable, lots of customization to change the features that you need for your business. Allows you to specify dialing rules, different audio devices, and plenty more. The ringtone volume needs to have an option to lower it. Its very loud. The ringtone can be replaced but for those not savvy, its not that easy to do. Its a great phone system that offers a lot of features and customization. It would be nice to change the default ringtone volume as it can be very loud, but its not that hard to replace the ringtone with something else. Other than that, it works great and gets the job done for my calls. It works a lot better for our phone needs. Offers a lot better transferring and call quality. The best thing i like about Avaya is that the phone is easy to use and covers all my communication needs at my office. I work at the front desk so I get many calls a day that I have to transfer to my fellow employees. The calls always come loud and clear and is rare that I ever have an issue with the phone. The phone I use is not very appealing to the eyes. it looks old and outdated compared to the phone that are available for purchase these days. My office is decorated very aesthetically nice with the exception of this phone. I think changing the looks of the phone would make it much more appealing to your customers. The benefits of having many of the Avaya phones throughout my office is that everyone knows how to them which makes transferring calls and communicating very easy. We do a lot of our business phone because we are a global company so have reliable phones are very important. Some of the best features include Click-to-Call which allows a user to quickly call a potential new lead / client via a mouse click, which saves time and promotes efficiency. The call recording feature that Avaya supports, lets a user listen back to calls made which is great for call coaching for a user to help improve themselves in a sales enviroment. Calendar integration allows the user to be notified of when to call a lead / client back. Sometimes we are hit with 'waiting for line' message, but I think that is more down to the available lines / line issues rather than the Avaya equipment itself. Avaya is a good product for call centre requirements. The typical features that are highlighted include Click-to-Call, call recording, restricting phone features and Calendar integration. We are using Avaya in a sales environment, from click to call, to call recording with calendar integration within a call centre. "This isn't my favorite application. Web app works better." I like being able to easily switch between telecommuter and desk mode. Working from home it's nice to be able to quickly switch the app to whatever phone I want to use, whether it's at home or traveling. The software seems to shutdown at random times without warning. Several times people were unable to get through until I restart the software. I actually recomment using Avaya One-x Portal instead of the Avaya desktop app. It seems to be much more stable and reliable. The majority of the users in my company have switched to using the portal instead due to the instability of the desktop application. The major benefits is being able to direct my work phone to whatever phone I want. Being able to see the status of other users in the company is a nice feature as well. "Avaya is ready for the future"
Avaya has recently release it's latest release: Communication Manager 7. The past years it has migrated from a full bare-metal environment to a full virtualized one. The migration to VM-ware based systems makes telephony servers as flexible as any other IT-system, and still providing the required reliability. SIP infrastructure components as System-Manager, SessionManager and SBC have reached a very reliable and feature-rich level. AACC brings all the features that a leading company should have to reach the highest level of service for its customers. Avaya is providing the highest reliability, combined with the most features and easy-to-maintain solution in the market. I am an Engineer, and I work with a good portion of the Avaya portfolio. Our customers are banks, insurance-company's, government organizations, and commercial sector SME LE company's. I like how Avaya allows for you to easily work from home by allowing your home phone to be connected to your job's server to receive incoming calls. The things I dislike most is constantly having rolled calls or dropped calls. It gets very annoying when you're trying to help a customer and they call disconnects or when you're trying to answer the phone and you're unable to. Allowing employees to work from home while receiving phone calls from business customers. "Getting my work done is easier with Avaya One-X agent." I like the fact that I don't even need to have a phone when I make calls. I just use my computer and a headset. I also like the call quality on my end, and the reliability it seems to just work and I haven't really had any issues. Sometimes people have a hard time hearing me and once in a while I get people that tell me they can hear an echo on their end. I would recommend Avaya because it handles calls well and I like that you can just use a computer without a hard phone. Being able to take calls for my IT support job without the need of a phone. It's much more convenient than using a hard phone. "Avaya VOIP, a critical part of Pacific Stock Exchange Member Firm communications"
The reliability and feature support are key to Avaya's success and popularity among end-users who are the key customers of telecommunication services. Financial services demands hyper-reliable solutions and Avaya solutions met every requirement. Costs tend to be higher than many competitors that are increasingly improving their solution offerings making justification of Avaya solutions more difficult. License and maintenance costs are obviously a significant portion of this factor. Find a good reseller/channel partner who will be able to offer high quality support in a timely fashion, preferably located locally to avoid high costs for travel if required for a large onsite migration project. End user station portability and user feature mobility reduced IT support staff costs and allow users more flexibility as well as facilities management the ability more easily adjust workspace locations. Avaya has a full suite of telecom products for small businesses to enterprises. It uses proven technology that was developed first and foremost to handle phone calls. (as opposed to other phone systems that evolved from data and network devices). It is incredible robust and reliable. Avaya is going through a product transition from their acquiring Nortel a few years back. That's been a little bit of a challenge. Full disclosure: I work for an Avaya Platinum Partner, but have worked directly with Cisco, Aspect, and cloud based solutions in my career. In that time I've worked for - or consulted on - dozens of telecom clients, solving every telecom problem under the roof. Avaya has always provided the best overall solutions. "Avaya for the small firm"
It is easy to understand and use. Great communication tool that assists with reaching multiple people in one easy manner. There is only the option to conference call a max of 3 people at one time. Intra office communication, voicemail, and multiple line use at one time. "Great phone system for small business"
Remote access to system, being able to forward calls to another phone number, many features that you can tweak. Parts are expensive. You are not allowed to service hardware yourself to save you money. We replaced an outdated Avaya system. The new one allows us to have phones with lines we can forward. Fax Finder add on lets us receive faxes via email. The ease of the controls and fuctions, it takes seconds to learn how Avaya works. The many settings are a plus as well. It doesn't happen a lot, but when the program freezes or shuts down abruptly, it's a rough time on doing your job adequately. It creates a quick call to call flow that provides a wonderful way to get work done. "Easy to use phone software"
It is very user friendly and affordable. I like best that when I am dialing a number that it does actually call the number I dial like a phone is supposed to do. I dislike that this phone is not bluetooth capable. It would make my job a lot easier if it was bluetooth capable. If you are looking for a phone this one is for you! I do not have any problems that I am trying to solve so I cannot truthfully answer this question. User-friendly; easy to setup and access especially when you have a job that requires routine conferencing. At times the video can be choppy but that could be due to a bad connection. Provides businesses with scattered employees to stay connected especially for important events and quarterly meetings. "Changing Callcenters into Contact Centers"
The fact that we can have 5-9's of uptime, Our Avaya PBX has been up and running great for a very long time! It is rather expensive to upgrade, so we are running on rather old software. There are a few "Major" telecom vendors, Avaya happens to be the best, for the money, that may be opinion, but the people who implemented it here did the research. Well, our customers can call us on the phone, we can get them routed to the right people at the right time. What I dislike about Avaya is that some of the documentation is not thorough enough especially when it comes to conference phones and external audio speaker additions. I do recommend Avaya especially when your business has old phone systems that you want to continue to use. Avaya provided us a path to continue to use our Nortel phone system when it went out of business so we can continue to use our digital phones and add on new IP phones. "This product monitors my calls and talk time as well as records every call I make." The fact that any call I make can be pulled to confirm what was agreed upon and said during a phone conversation. Sometimes the calls do not register or I think that the count is off or skewed. Booking freight. Great to review calls to make sure both parties are living up to their obligations. "A great well working system"
It works without fail. I have yet to have issues with avaya. It is a bit of a complex system and can be confusing to figure out. "We moved to our IP Office 500 and didn't look back"
The phones are consistently great allowing for a pleasant interruption free call every time. The software is good on the back end but could use a customer download site. Ask to have the standard lines to be installed versus a 100% VOIP system for stability. Dropped calls, no caller display coming up and lack of VOIP. Avaya solved all of this. If you have ever worked in a corporate customer service, you might have heard about Avaya. Avaya's VOIP services are far better from the other competitors. The hardware or the embedded firmware they all just fit your needs. They place single click log-in/log-out and aux options. It integrates very well with the local pbx. It's better than Cisco. It's best suited for enterprises. "Decent Telephony Platform for a Custom Call Center Application"
On an SAP CRM Project for a previous client we integrated a custom UI application with AVAYA via the AVAYA SDK, and used AVAYA for call, email, fax, and chat routing directly, bypassing SAP's routing functionality. The system behaved as expected in most cases and AVAYA provides fairly thorough documentation that explains how to handle messages being sent to / from its .dll file. Some of the behavior was inconsistent between the AVAYA SDK and the actual AVAYA server itself. It took many support calls and tickets to resolve our issues. There are multiple platforms to choose from and this is one of the best, but make sure you also take a look at Genesys and some of the others and compare to find the best one for your specific business needs. 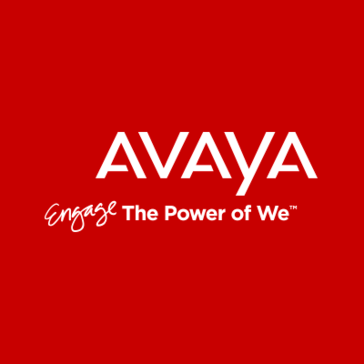 Avaya offers a feature rich platform for enterprise businesses and they currently made video conferencing a standard with their newer model phones. Very costly to get all the bells and whistles. Avaya is a great solution in a larger environment, and I would highly recommend looking into it. * We monitor all Avaya Scopia reviews to prevent fraudulent reviews and keep review quality high. We do not post reviews by company employees or direct competitors. Validated reviews require the user to submit a screenshot of the product containing their user ID, in order to verify a user is an actual user of the product. Hi there! Are you looking to implement a solution like Avaya IP Office?